BMMI Group | Our EFTS trainees graduate from their Alosra training programme! Our EFTS trainees graduate from their Alosra training programme! 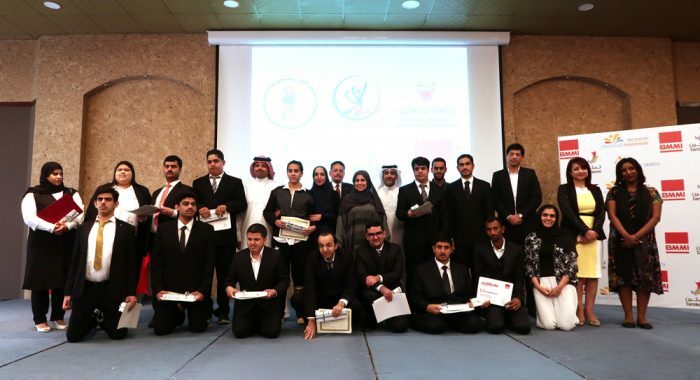 Following a year of gaining sustainable skills and knowledge at the supermarket, our lovely EFTS programme trainees celebrated their achievements with a graduation ceremony on Thursday, March 1. If you stayed updated with our previous articles about the programme, you might remember that the EFTS is the first of its kind initiative to take place in the region. Under the programme, 14 trainees who fall under the Autism Spectrum Disorder (ASD) were able to receive valuable workplace training at our very own Alosra supermarket. Head of Corporate Communications and Marketing, Yasmin Elisabeth Mohamed, said “we’re extremely honoured to have been the first organisation to be approached to support this important initiative. We take inclusivity and diversity very seriously at BMMI. We’re also extremely grateful to the Alosra team for supporting this opportunity with zero hesitation. It has been very encouraging and motivating to see how much the trainees have grown and developed throughout the year, and how supportive our customers have been with them as part of the team,” she said.